The dark horn comb, from the horn of the water buffalo, styles your hair very gently. This is a natural product. Every comb is unique and each pattern can vary in design. This handmade top quality product guarantees a smooth, hair-care and regenerating hair against split ends! The horn comb could also be used as a beard comb. The head or beard hair is perfectly maintained. 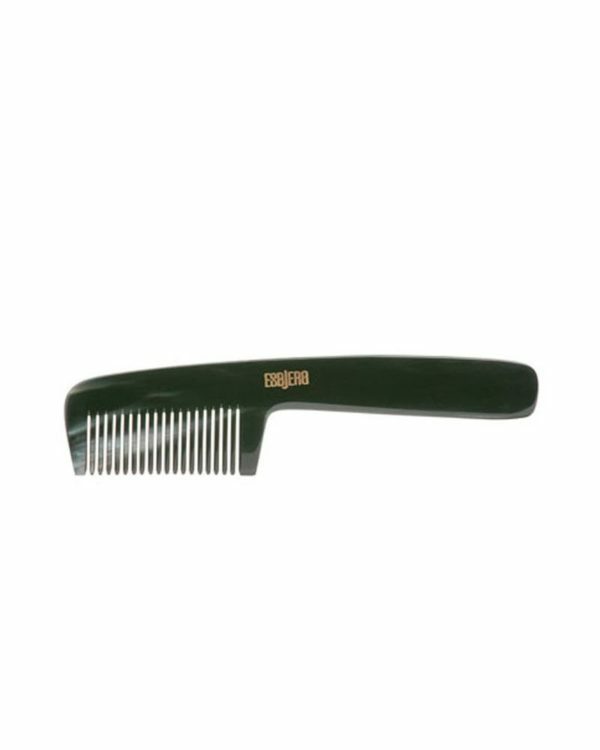 Clean the horn comb before the first and after every other use with water and treat it with a horn comb balm. Clean the beard comb with hair shampoo. The beard comb has a total length of about 13 cm, the handle is about 6 cm long. So it is easy to hold, better than the usual beard combs. Comb your hair from the roots to the tips.